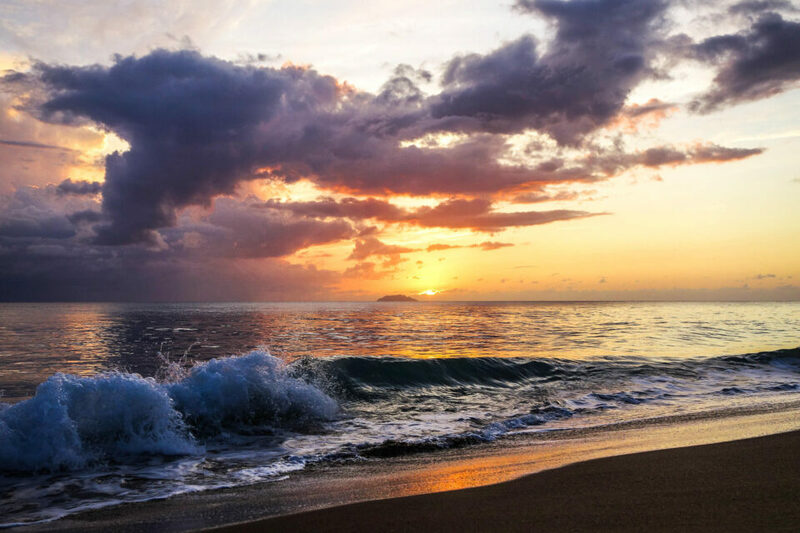 Directions: First, jump on a plane, fly to San Juan or Aguadilla, travel to the West Coast of Puerto Rico and discover the beauty of Rincon, PR. This Beach area is accessible right from the heart of Rincon. Check out the GPS Coordinates for the exact location. The Bed & Breakfast we stayed at was literally 25′ from the Ocean, in Rincon, PR. Since the B&B was facing mostly west, the opportunity for sunset pictures was endless. Each evening of the four nights we stayed there had spectacular sunsets, some after storms, some with just perfect conditions and some cloud cover to enhance the composition. Because we stayed on the beach most of the time, and having a camera or two ready, permitted many opportunities. 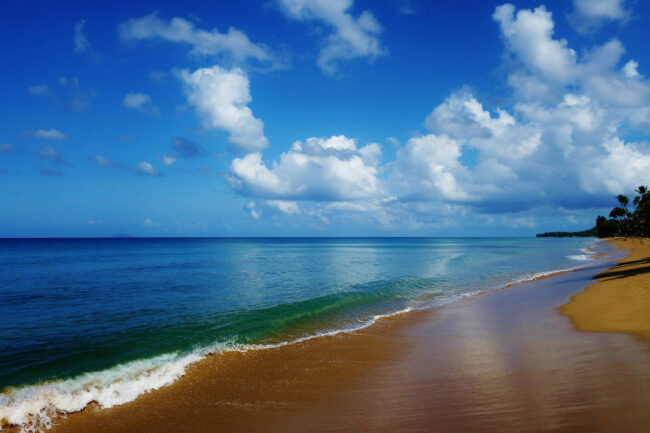 The beach and ocean conditions change dramatically, although on this portion of the western side of PR, the waves are generally fairly calm. It was not uncommon for a larger wave to come in crashing and splashing water 5 to 6′ in the air. A short distance away, north and slightly east, provides beaches that are popular for surfing and the waves are huge. If you are looking for calmer waters, head down the western coast a bit and you will find endless miles of perfect sand, beach, and sun. Sunsets in April and May have been very dependable with brilliant colors and awesome clouds.